When you think of Peru and ancient civilizations most people would automatically imagine the famous Incas, with their ruined cities and of course Machu Picchu. Amazing as the Inca’s were, however, they definitely were not the first ancient people to create breathtaking monuments that have stood the test of time! Around 2000 yrs ago, well before the rise of the Inca’s, on Peru’s western lowlands lived the Nazca people. Not only did they manage to survive in their dry and desolate desert environment, but they managed to thrive! 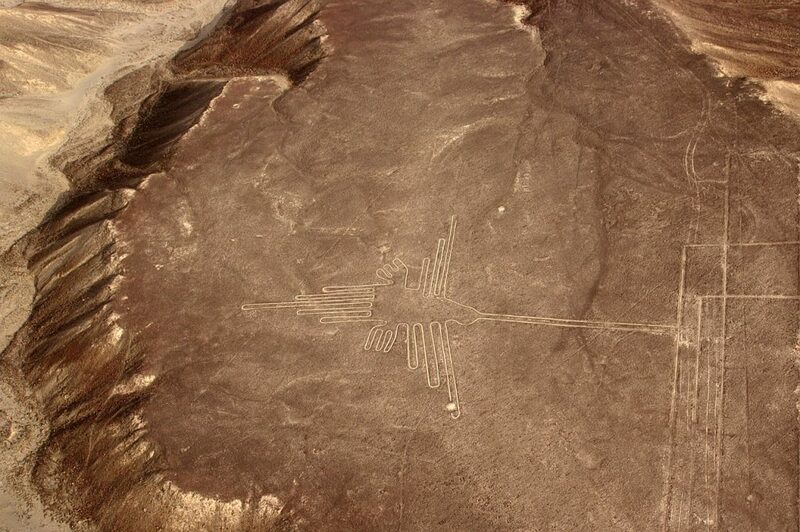 Creating pyramids, complex burial rituals and one of the biggest religious works known to mankind: the Nazca Lines! While its original creators deserted this barren land over 1,500 years ago, due to the lack of rain and wind, their works can still be seen today. There is no other way to describe them except for being absolutely spectacular! 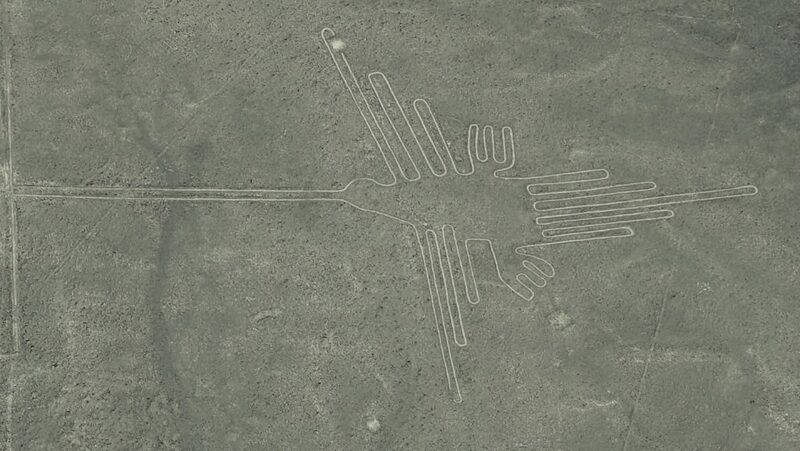 Somewhat ironically, given they were created by a people with no concept of human flight, they are best seen from the air on a Nazca Lines flight! 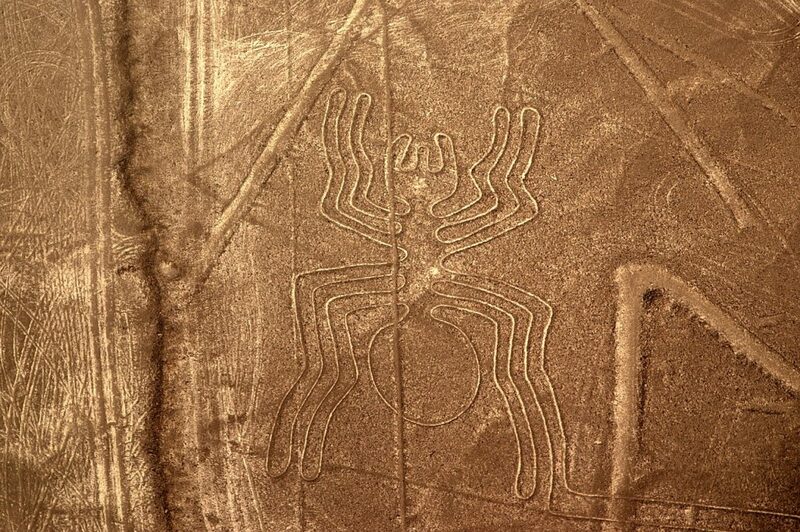 Stretching across the desert about 400km south of Lima in Peru are the Nazca Lines, the largest collection of geoglyphs in the world. 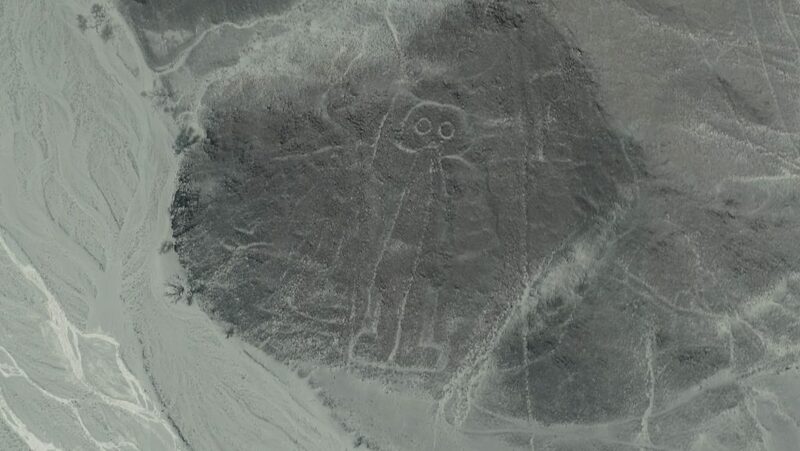 These enormous artworks in the desert vary in complexity, from simple lines and geometric shapes to zoomorphic designs of animals, such as birds, fish, llamas, jaguars, and monkeys, or human figures, over 70 in fact! 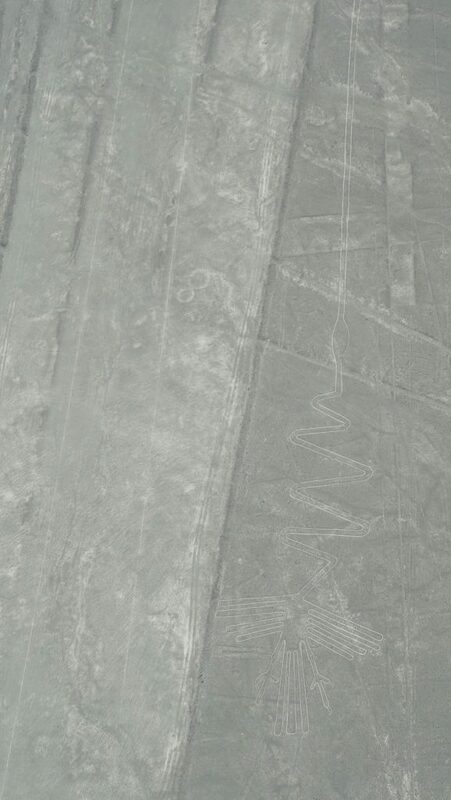 Today the Nazca Lines, protected as a UNESCO World Heritage Site, are largely in danger from changing global climate patterns (with increased rainfall) and from human development. 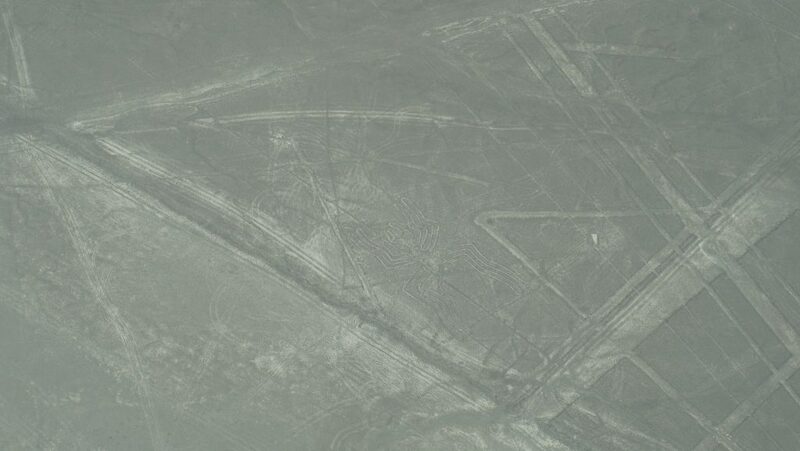 It’s almost impossible to believe how the Nazca people managed to make such gigantic (some up to 300m long!) yet accurate designs with simple tools and no ability to see them from above. This gave rise to the theory of alien visitors stopping by to use our planet for a spot of graffiti in some circles. Thankfully though archaeologists have managed to learn fairly well how it would have been possible through wooden stakes and tools found around the site. Skeptics have even managed to recreate them using similar techniques available at the time. However what has been harder to work out than how they were built is why they were built. For a long time this was still a mystery but while we still can’t be certain of the purpose of the designs, they are generally said to be of religious significance or for ceremonial purposes. Thanks to the isolation and the dry, windless conditions of the plateau they inhabit the lines have been extremely well preserved and are still clear to see. Though it would be possible to see them from the surrounding foothills this isn’t an opportunity for the public due to the surrounding area being closed to help preserve the figures. 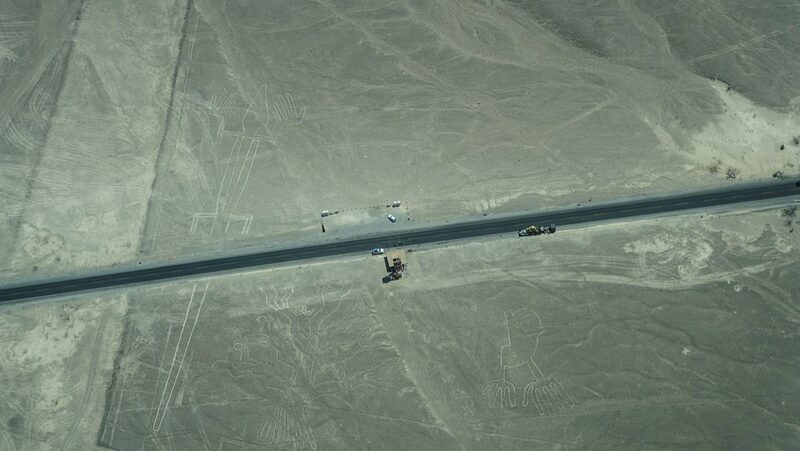 There is also a viewing tower about 20-25km north of Nazca which costs only 2 soles. At 13m tall it gives you a view of 3 images, the lizard, the hands and the tree which although you will be able to see them don’t expect your photos to be as clear or impressive as from the air. In my opinion, the only way to really appreciate the sheer scale and intricacies of the patterns is from the sky. The Nazca Lines Tour flight allows you to see around 13 of the famous designs as well as the other lines that criss-cross the landscape. 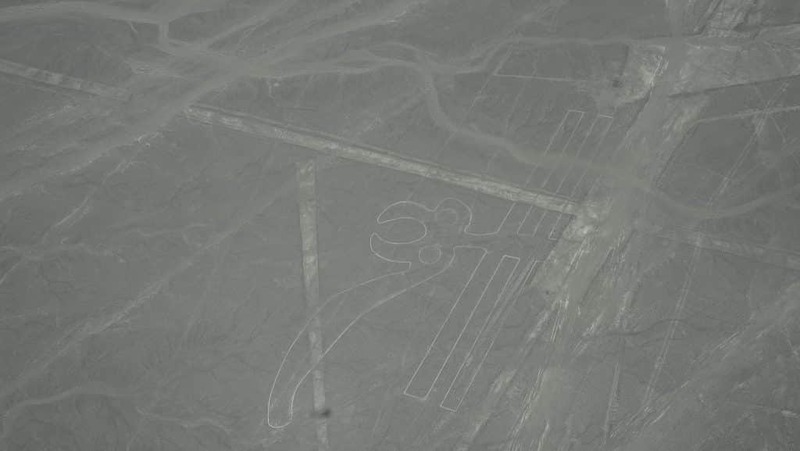 It also allows you to see them in a way that the Nazca people who built them never could, which still feels like a crazy concept! 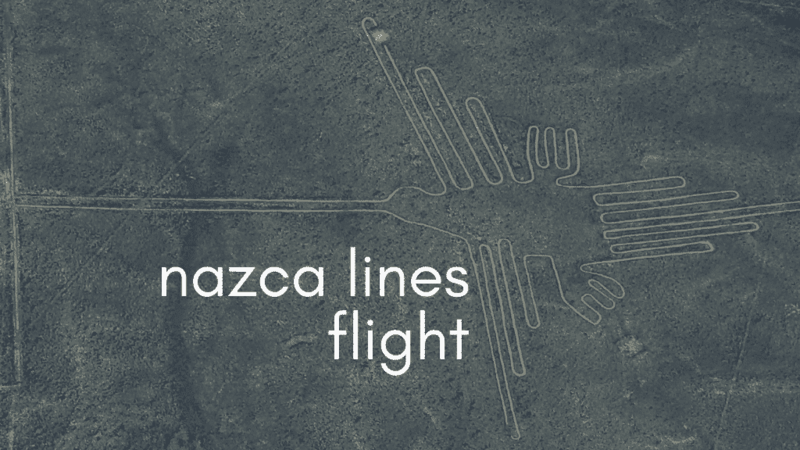 After hearing so many conflicting accounts of the Nazca Lines flights we decided to ignore everyone’s advice and just check it out ourselves! And WOW! How incredible – One of the most amazing things I have ever seen and completely unique in our world! 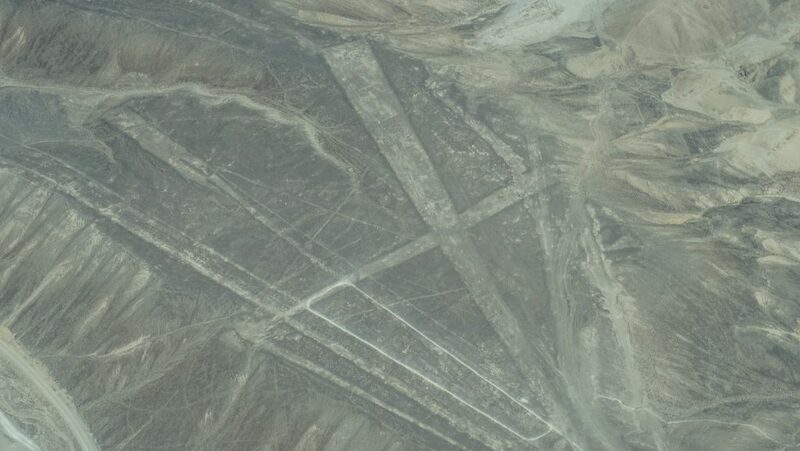 Now I’m sure if you’ve been doing some research you’ll be skeptical and have come across articles mentioning safety concerns regarding several operators offering Nazca Lines flight. This was an issue in the past, however about 5-6 years ago the Government of Peru stepped in and imposed tighter regulations, training and maintenance standards and safety requirements on operators. Since then there has been a drastic reduction in any incidents and has brought safety levels to standards expected at any flight operator you’d have at home. As a commercial pilot myself this was an area of huge importance when making the choice of whether to fly or not. But after seeing the level of professionalism, looking over the aircraft and talking with the crew (each aircraft now has both a captain and copilot, even on these smaller planes) I was satisfied with what I saw. Its possible to catch flights from a number of airfields around the area, however, the cheapest options you’ll find are from Nazca itself. There are a number of operators to choose from with all of them offering similar flight packages. The cheapest prices we found were around USD $90- $100 (plus a standard 25 soles departure tax) for a standard 30min flight around 13 of the main designs. However, if you are traveling by the Peru Hop bus pass you get a special price of $80 USD! Check out my Peru Hop Bus Pass review here. There are also options for longer flights where you can see more designs and even includes the possibility to see the neighboring Palpa lines at the same time. We opted for the standard 35-minute flight with AeroNasca and after a safety brief from our pilots and a rundown on what we’d be seeing we headed to the plane. Depending on your flight company and demand the planes can be anything from 4-14 seaters but either case its not going to be huge. No need to be nervous though, they all work the same and the best bit is that it means everyone gets a window seat for a perfect view of the lines! If you prefer a smoother ride aim to fly earlier in the morning when conditions are generally calmer with less likelihood of turbulence. The pilots really do a great job of making sure everyone gets to see every one of the drawings you visit. Not only that but they’re also extremely good at telling you which one is coming up next and where you should be looking to spot it. The first one can initially be a bit tricky to see but once you get your eye in you shouldn’t have any trouble. 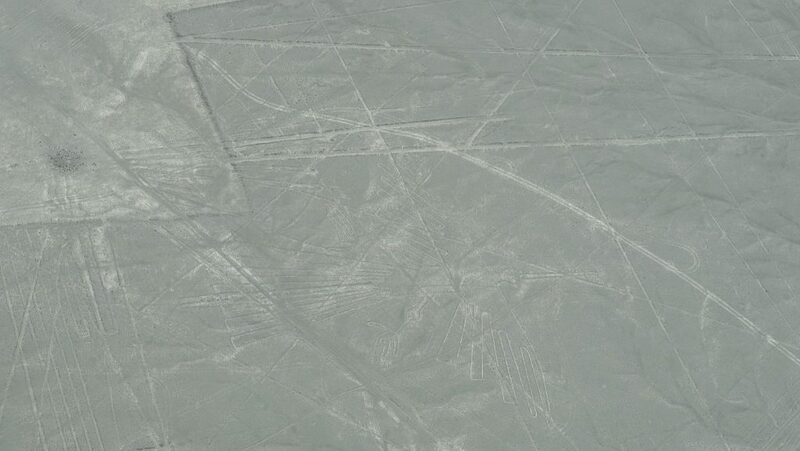 It really is breathtaking to see these images from above, with their perfectly straight lines and geometric features. Add to this the stunning scenery and you’ll be wishing you could stay up there all day. The Condor, the Hummingbird and the so-called Astronaut, I’d have to say the first two are far more impressive than the latter but I guess even the Nazcas had to practice, to begin with. It really is absolutely fantastic. These are images I’ve seen in documentaries and National Geographic since I was a kid, so to see them for myself was something else! A big hurdle for a lot of travelers on a budget can be the cost, but for this, I would say its worth it especially considering the quality and professionalism of AeroNasca. Not one of those dodgy operators you hear horror stories about that’s for sure and the perfect option for your Nazca lines tour! 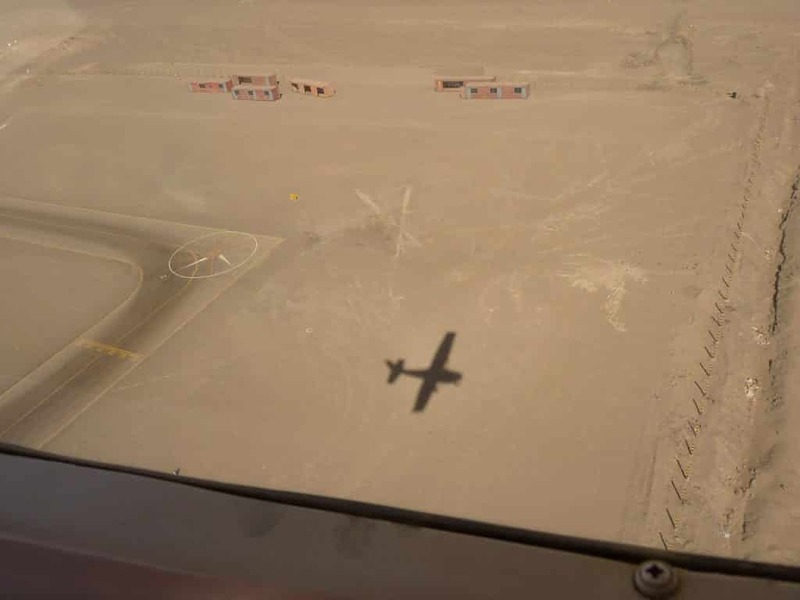 I know that when I think back about it in years to come I won’t be regretting how much our Nazca Lines flight cost but instead what a truly wonderful experience it was! Honest Peru Hop Review: We Made The Mistakes So You Don’t Have Too! 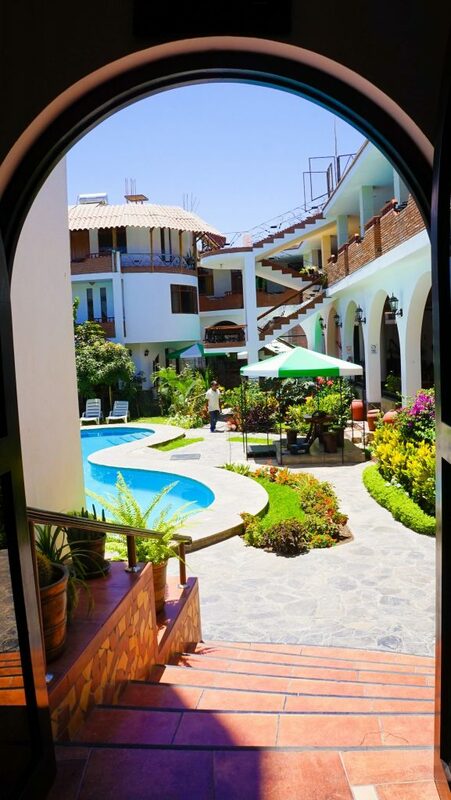 If you haven’t yet booked a hotel to stay in Nazca I would highly recommend you check out Hotel Alegria Nasca, a 3-star boutique family run hotel with fast WiFi, a refreshing pool and a delicious breakfast. 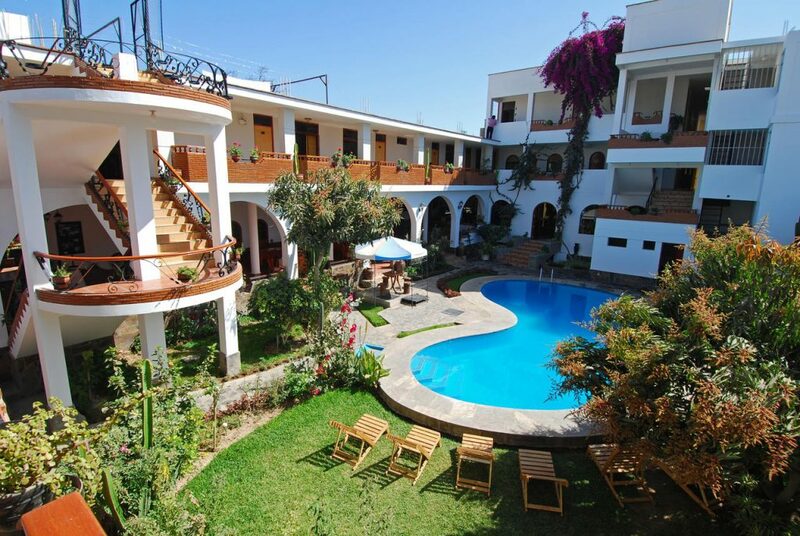 A little oasis in the desert right opposite the bus station! 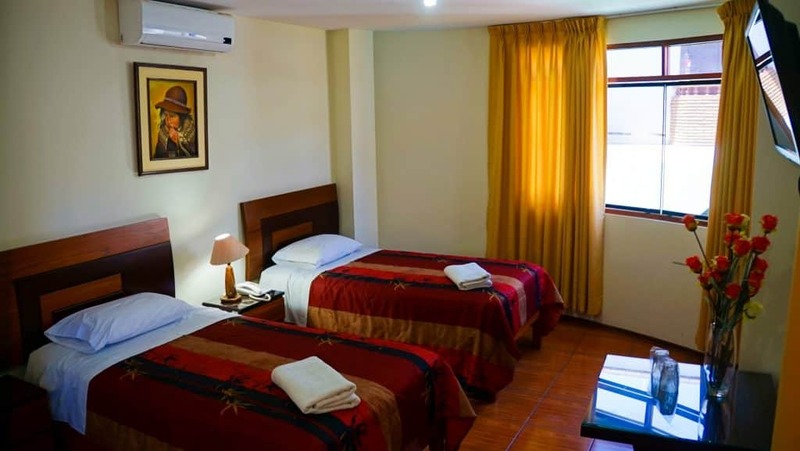 We stayed here as they offer a great deal to passengers traveling with Peru Hop but their standard rates are pretty great too for what you are getting – Friendly service, clean rooms, a relaxing internal courtyard, and premier location. The design of the hotel means you don’t get any of the noise from the street and the focus here is on rest and relaxation. 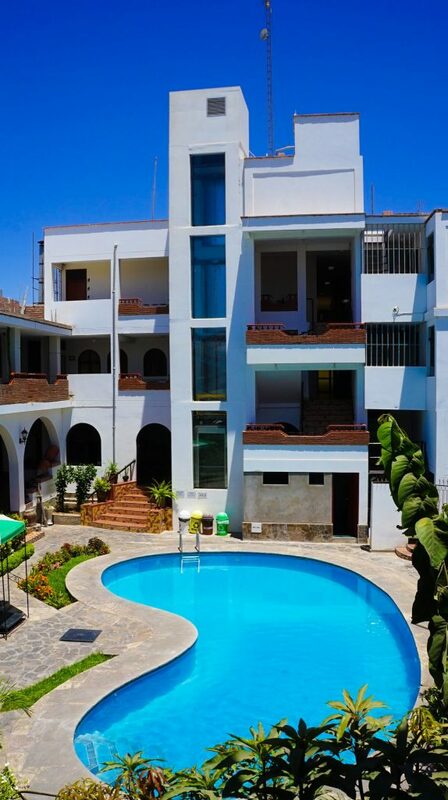 You can often spot the Grandma tending to her garden beside the pool – the avocados, mangos, peaches and more will make their way to the breakfast table in season ensuring that you won’t be stuck with those horrid Spanish style sugar breakfasts they insist on serving everywhere else. We enjoyed avocado, fresh bread, eggs, ham, cheese, yogurt, delicious juice, fruits and more. I would recommend staying two nights minimum here so you can unwind and really enjoy your Nazca flight without rushing off to the next destination. 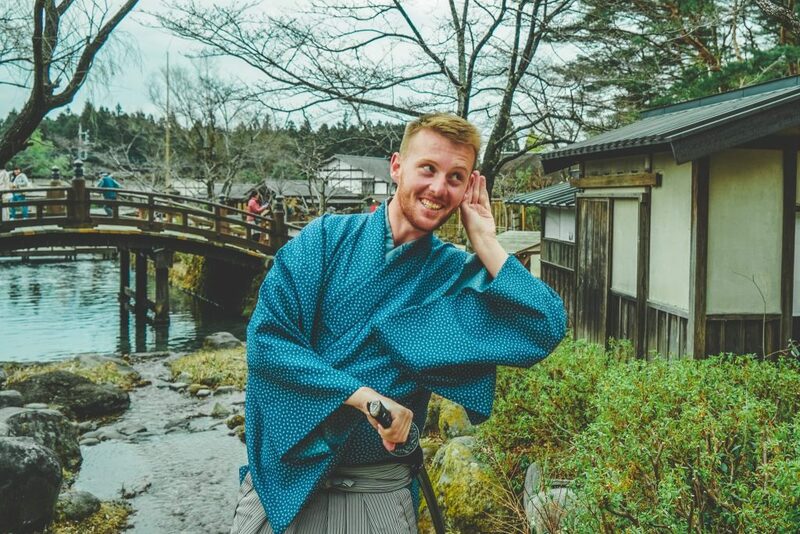 They also have an in-house tour agency which can offer advice for the myriad of cultural attractions nearby including wildlife sights, pyramids, sand duning and more. 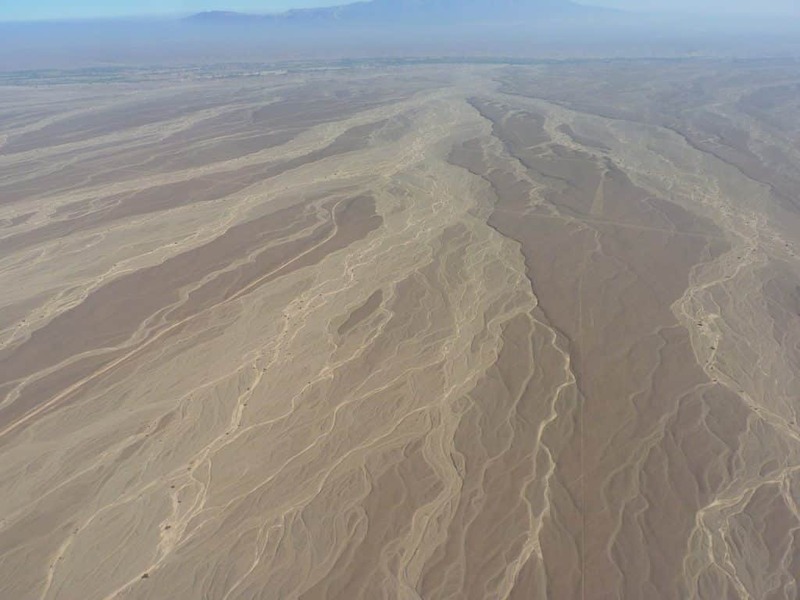 So hopefully this Nazca Flights review has helped convince you to see these incredible Peru desert lines and give you all in the information you need for a successful flight over Nazca lines! Please note the Nazca lines flight price does see to rise a lot fast than inflation by all account, so as it gets more popular you should visit here sooner rather than later!